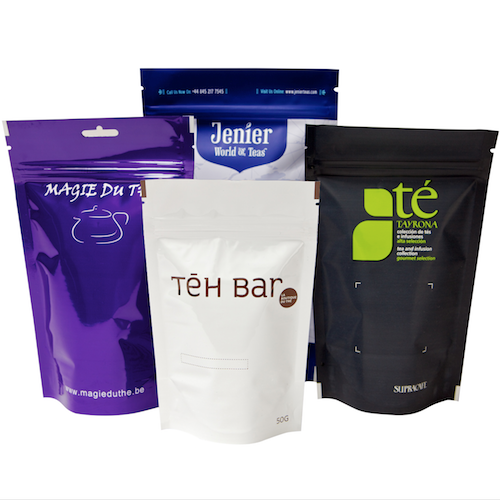 (grease) stains than ordinary kraft paper pouches, due to the type of used materials. 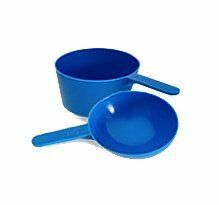 Great for packaging nuts, chips, candy, cookies, pet food and so on. 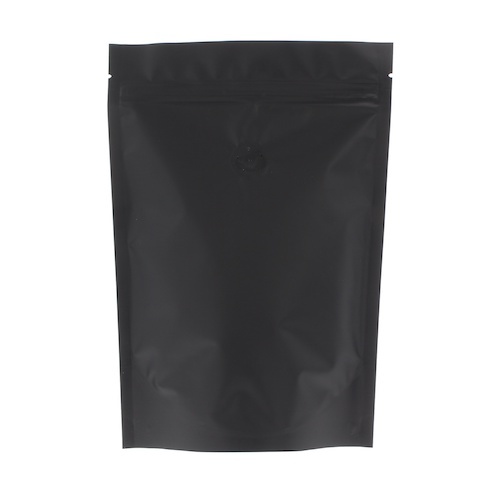 Stand up pouch with window, K-seal bottom gusset, tear notch and resealable zipper. 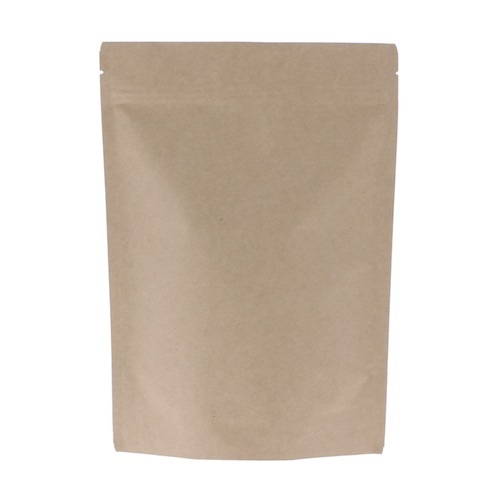 The pouch has a kraft paper appearance but is less susceptible to (grease) stains than ordinary kraft paper pouches, due to the type of used materials. 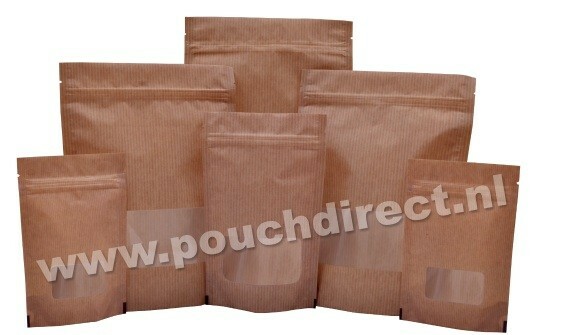 Great for packaging nuts, chips, candy, cookies, pet food and so on.